America's Most Trusted Bankers' Bank - And Best Bank to Work For! We are pleased to announce that TIB has been named to American Banker's 2018 list of "Best Banks to Work For"! Read the News Release. Congratulations to our world-class employees on achieving such a high honor! For over 35 years, TIB has served as the Trusted Partner to community banks of all types and sizes. 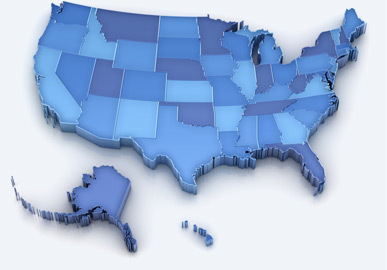 Our partner banks are located in 48 states from coast-to-coast, as well as Guam. In fact, nearly one in three community banks across America relies on TIB for some aspect of their correspondent needs. We have over two dozen seasoned Correspondent Officers stationed throughout the country in order to provide community bankers with quick access to local, personalized attention and expertise. Just as important, we offer the most inclusive range of in-house correspondent banking products and services available - including the industry's best De Novo Partnership Program. When you do business with TIB, you do business directly with the source. We invite you to take a look around and learn more about how we can help your organization compete and win in today's challenging banking market. TIB has the strength and expertise to assist you and your valuable customers with a wide variety of Lending needs, including Bank Stock Financing, Holding Company Loans, Participations, Overlines, Municipal Finance and more. Find out how we can help you keep your best customers today. One in four banks across the country relies upon TIB for their Credit Card, Corporate Card, Merchant Processing, Debit/ATM Card or Gift Card/Payroll Card needs. Find out how we can help you compete and expand your customer relationship, while adding to your bank's bottom line today! TIB's Operational Solutions are each designed to meet the evolving needs of community bankers and with efficiency, security and reliability in mind. From our leading and cost-saving Cash Letter Gateway to our secure and robust TransCom electronic banking system, TIB has every operational solution your bank needs to keep pace with today's customer and market.